Help students count and understand number relationships by practicing with ten frames. Reusable dry-erase surface helps reduce waste and saves money. Features a ten frame and number bond outline on one side with two ten frames on the other. Flexible plastic mats are easy to write on. Use with dry-erase markers only. Markers are sold separately. size 12" x 9 1/4"
This affordable flatbed all-in-one with wireless connectivity prints professional-quality color for a low cost per page. Productive and reliable, this all-in-one can help you stay on task at work or home. Bring professional-quality color to your prints for a low cost per page. This all-in-one produces fast-drying, fade-resistant documents and offers a high-capacity black cartridge option. Do it all for less—choose an affordable all-in-one with wireless networking for your business or home office. 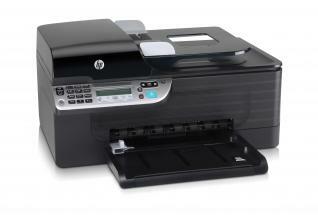 Print, scan, copy and fax from one device, and help make your work space more efficient. The features you need to stay productive. Conserve resources and save on the amount of energy your hardware consumes. 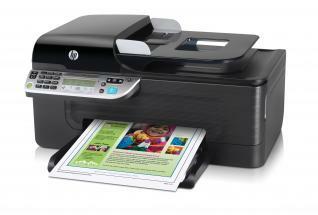 With HP Smart Web Printing, this all-in-one makes it easy to reduce the amount of paper you consume. Also, rely on HP to provide a responsible, reliable recycling solution. Microsoft® Windows® 7: 1 GHz 32-bit (x86) or 64-bit (x64) processor, 1 GB RAM (32-bit)/2 GB RAM (64-bit), 1100 MB free hard disk space, Internet Explorer 8.0; Windows Vista®: 800 MHz 32-bit (x86) or 64-bit (x64) processor, 512 MB RAM, 1150 MB free hard disk space, Internet Explorer 7.0; Windows® XP (32-bit) (SP1): Intel Pentium II or Celeron processor, 512 MB RAM, 790 MB free hard disk space, Internet Explorer 6.0; Windows® 7 Ready. For more information go to http://www.hp.com/go/windows7. Some features may not be available. For Windows® XP (SP1) Starter Edition, Windows Vista® Starter Edition, Windows® 7 Starter Edition, only the printer driver, scan driver and the Toolbox are available. Product image may differ from actual product h5 20-page ADF available on the HP Officejet 4500 All-in-One and the HP Officejet 4500 Wireless All-in-One. m1 Either after first page or after first set of ISO test pages. 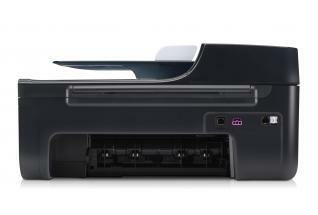 For details see http://www.hp.com/go/printerclaims f6 Requires an operating system with power management capabilities, such as Windows 8 or Chrome.